Back in the 1930s, this little island was one of the places Pan Am clippers used to stop for refueling. Now its an emergency airport for trans Pacific flights. 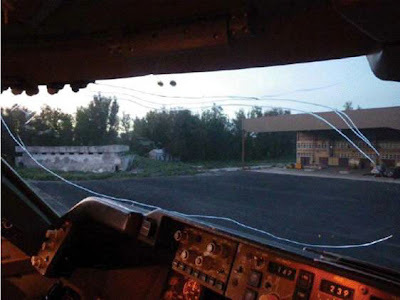 The crew of Delta Flight 277 from Honolulu to Osaka, Japan found themselves in need of an emergency airport on the evening of June 23 when the windshield developed a crack. According to the Delta operations manual this calls for descent to below 14,000 feet, maintaining a cabin pressure differential of 2psi or less and landing at the nearest suitable airport. The manual warns pilots of the higher risk of bird strikes at lower altitudes and that's without even knowing the kind of bird this particular flight was likely to encounter. Are you ready? Its almost three feet high with a six foot wingspan. Unfortunately for Delta and for the birds the albatross feeds at night and nests by day. This explains why Sue Schulmeister, manager of the refuge said despite the fact that birds were on the ground, "we didn't have a choice in this case because they needed to land." 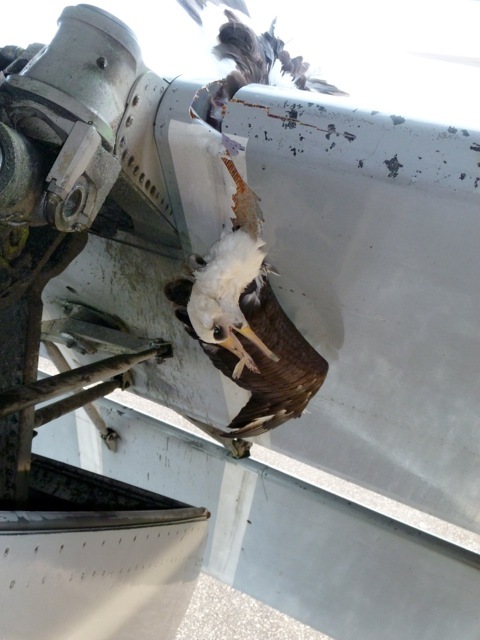 Ms. Schulmeister said the plane hit one albatross which damaged the leading edge of the wing, but a small white tern was also found "in the airport sweep following the landing." Henderson Field has a 7,800 foot runway and is owned by the US Fish and Wildlife Service. Until 1993 it was a Naval Air Facility. Good point Andy I stand corrected. It is amazing that today we still have able, dedicated Pilots. After having their salaries slashed to bits by their company, that is. The top brass just see bonus bucks all year long! Thank God, these Pilots with the skills these two have, still exist. Thanks for the article Christine. The stock was down, the crewmembers pay was down but yet they recieve this kind of pay; WTF. Very unusual for the inner layer of the windshield to crack, causing the divert. 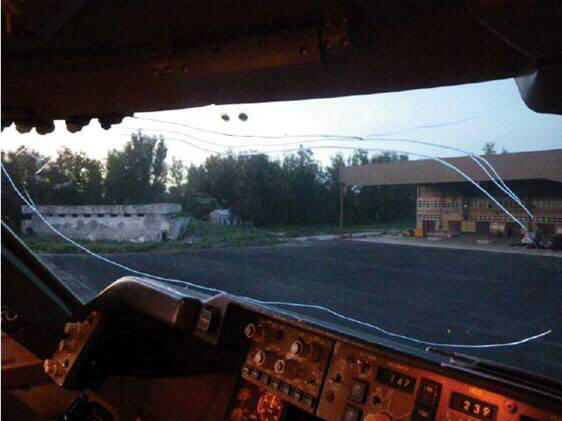 With the low cabin differential there was little chance of immediate windshield failure. Considering all the fuel they had on board, they could have gone to HNL. 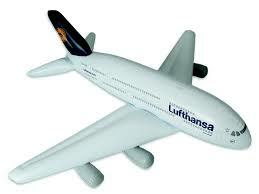 The hotels are much better and the only "Gooney Birds" you have to watch out for are flying night freight.